Parenting after divorce can tricky. It’s easy for the guilt we feel from our kids not having their parents together anymore to be the driver for how we parent. 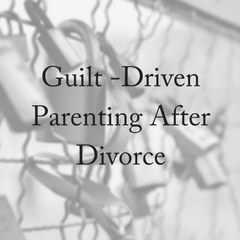 Guilt-driven parenting after divorce is not good for anyone – adults or children. We know that divorce is no picnic in the park, either the process or when it’s all done and dusted. And parenting? Don’t they say that parenting isn’t for wimps? Put the two together and you have the ingredients for guilt-driven parenting after divorce. It’s the reality for many parents around Australia. According to the Australian Bureau of Statistics, in 2014, there were 46,498 divorces granted in Australia. The number of children involved in those divorces totaled 40,152 and the average number of children per divorce was 1.8. That’s lots of kids and lots of parenting – some of it guilt driven. What is Guilt-Driven Parenting After Divorce? So, what is guilt-driven parenting after divorce? Many parents feel guilty about what separation and divorce have done to their children. It’s effectively changed their future in many ways and often changes various family relationships in terms of how they function. Even when a divorce is amicable, all concerned will go through a grieving process which contains a whirlwind of emotions including anger, sadness, impatience and just feeling overwhelmed. It’s not just the adjusting of relationships, but also the change of home whether it be location, suddenly having two homes or just no longer having one parent living with the other – it’s going to feel really different. Guilt-driven parenting is parenting driven by the guilt of what parents think their divorce has done to their children. It’s true that divorce is going to shake things up quite radically, but what doesn’t need to change is the quality of parenting after divorce. This is a responsibility that does not alter and for which each parent does have control. There are many things that parents can’t control, but choosing to parent well is not one of them. Even when someone is feeling low and quite helpless after a divorce, an encouragement for them is that parenting is a privilege that they still have. The opportunity has not been taken away to shape and grow their child into a whole and independent adult. Their children’s quality of life is not determined by divorce, but by the choices they make in how they parent. Guilt-driven parenting after divorce is unhealthy for both parents and children and it tends to fall one of two ways. 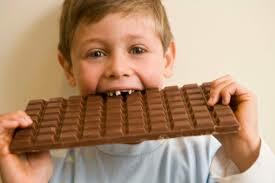 The guilt-driven parent may become strict and controlling or fall the other way and become too lenient. These ideas can manifest in numerous ways, but they are all invariably dangerous if they become habitual – often leading to children developing damaging and/or bad behaviours. There are not very many people who truly love and embrace anarchy. 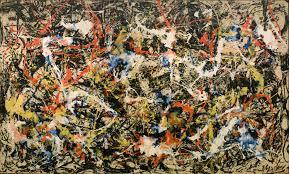 Family break-ups are not usually beautiful and they often look more like a Jackson Pollock rather than a Rembrandt painting. When parents have so many areas in their life they feel like are in disarray and chaotic, then they may attempt to control the one area where they feel they can bring order. While there are very positive effects of having stability and boundaries, when a parent becomes overly controlling and rule obsessed, this is a recipe for disaster. Parents who exert too much control over their children could be causing them lifelong psychological damage, according to a study which tracked a group of people born in the 1940s until the present day. The negative impact on wellbeing was comparable in scale to that observed in people who have suffered a bereavement, experts from University College London (UCL) said. In contrast, people who said their parents were more caring, warm and responsive to their needs tended to be more content well into adulthood. Examples of psychologically controlling behaviour identified by the study included invasions of children’s privacy and an unwillingness to let children make their own decisions, and fostering dependence upon one or both parents. Ultimately, these can be manifestations of guilty parenting after divorce. This can be the case particularly for the parent who sees their children less than the other parent. Because time is already shorter, the lenient parent often just wants their kids to be happy. Setting boundaries and enforcing consequences can seem too risky to these parents. They already feel guilty because they spend less time with their children so the time they do have with them is child-centred. It’s the opposite of controlling parenting – children are basically allowed to do what they want. As Baumrind notes, permissive parents share some similarities with authoritative parents. Both types of parent are emotionally supportive and responsive to their children’s needs and wishes—which is a good thing. Both types consult kids about policy decisions, which can be a good thing, too. But unlike authoritative parents, permissive parents aren’t demanding. They don’t assign their kids many responsibilities and they don’t encourage kids to meet adult-imposed behavior standards. Instead, they allow—as much as possible—kids to regulate themselves. Permissive parents don’t present themselves as authority figures or role models. They might use reason or manipulation to get what they want. But they avoid exercising overt power. 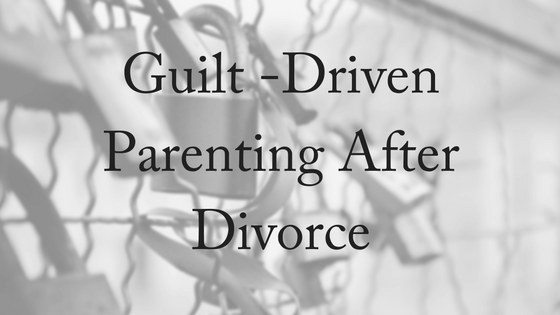 There are certainly consequences for guilt-driven parenting after divorce. Those who are strict and controlling tend to have children who then feel guilty themselves because they are not meeting high expectations. These children often then find it hard to make their own decisions and be creative, feel judged and may withdraw from the parent concerned (and others). Children of lenient parents tend to be less self-disciplined and responsible and various studies of these children have shown an increase in aggression over time and alcohol abuse in teens. Being in the grip of guilt is not just unhealthy for children, it is unhealthy for the divorced couple. It’s only natural to have these emotions of grief and guilt at this time, but hanging onto that guilt is not going to allow the divorced couple or their children to move on well. Forgetting is not really an option when living with the children that came about from the union with an ex, but forgiving is the key. Forgiveness will provide parents with the freedom to parent without the guilt of being divorced. Forgiveness may not happen overnight, but it does need to be a decision. Often this decision must be made every single day, one day at a time. There will often be times when parents swing one way of the other, but with love, warmth and an aim to be consistent without those guilt-driven extremes, parents will be choosing to parent well. If you’d like to speak to one of our caring family lawyers then please contact us today. We offer a free, 10-minute phone consultation.